Would You Take An E-Mail Holiday? E-mails and texts often are the lifeblood of a real estate licensee’s business. Nearly nine of every 10 U.S. residents use the Internet, according to January 2017 statistics from the Pew Research Center. Seventy-seven percent of the population relies on a smartphone to reach the web, it added. That means a large number of clients and prospects probably e-mail or text their agents, regularly or frequently, for buying or selling status updates and other relevant communications. Responding to a constant flood of e-mail and texts ranks among complaints most frequently heard from busily working licensees. How can they pursue new property transactions and feed deals through the marketing pipeline, they ask, when they’re pressured just to stay abreast of their current message load? Some cutting edge companies outside real estate recognize the problem. Three years ago Daimler AG, the German-based manufacturer of Mercedes-Benz vehicles, gave its employees the ability to automatically delete all incoming e-mail while they were on vacation. The company called it a “Mail On Holiday” program. A year later, in 2015, newspaper USA Today reported on seven companies – General Electric, Grant Thornton, GrubHub, Netflix, LinkedIn, Virgin Group and HubSpot – that offered some or all of their employees unlimited paid vacation time. Getting the work done, and not measuring the time needed to do it, was all that mattered, employers said. During vacation absences, apparently someone else minded the e-mail traffic. It’s different with Pennsylvania licensees, of course. The state considers each as an independent contractor, not a brokerage employee. Consequently, no holiday is available unless licensees give one to themselves, and it’s unlikely many – if any! 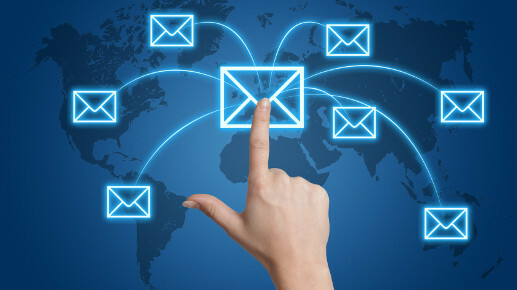 – agents are willing to see a deal slip through their fingers by letting e-mail go unopened. We'd love to hear your thoughts and comments on the post above. Please let us know.